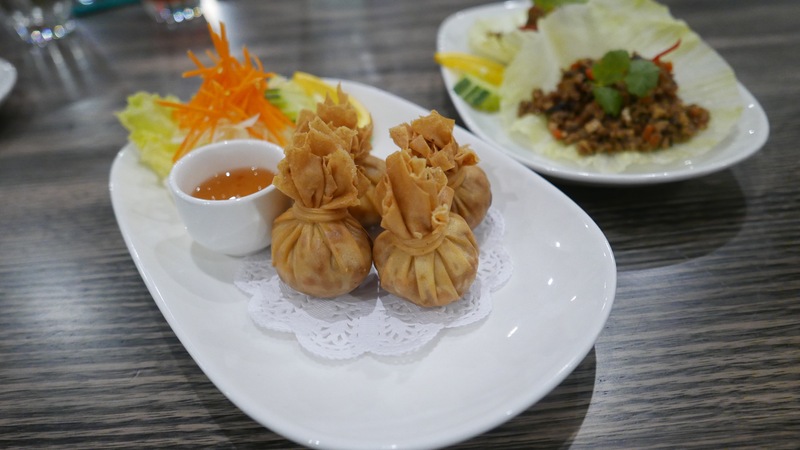 I have long been a fan of Narai Thai, as it happened to be one of my local Thai places growing up with restaurants in both Bundoora and Camberwell. 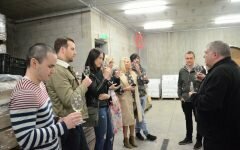 Years on, Narai has moved to the Westside, with a modern restaurant and bar space in Ascot Vale. Fronted by the friendly and passionate Saf, who has been involved in the Narai franchise for many years, Narai has a level of sophistication about it similar to their other restaurants I have frequented for so long. 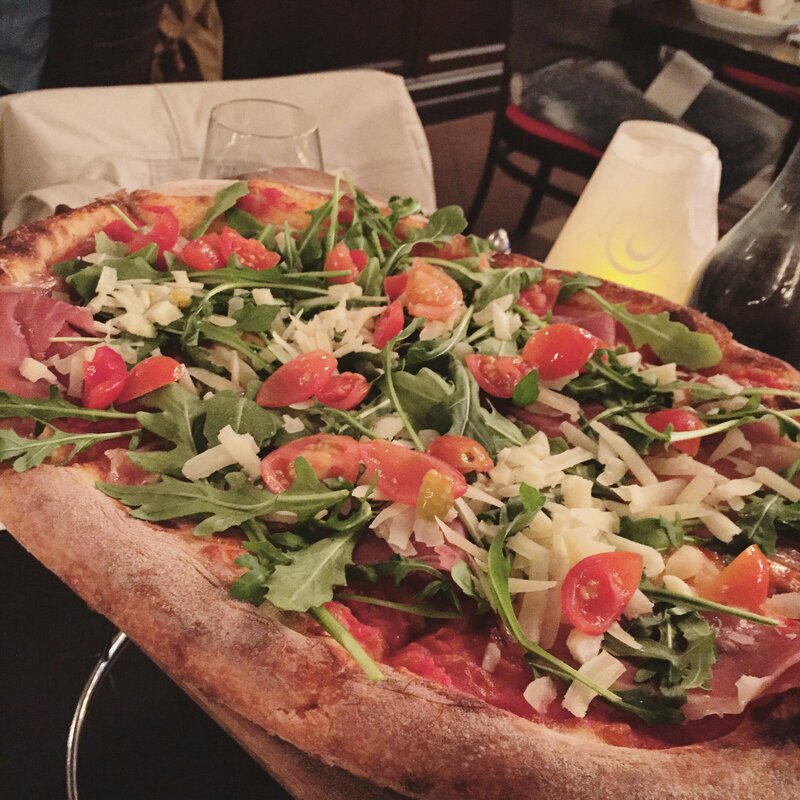 Modern furniture and a bright fit out make it the perfect spot for a special occasion dinner that doesn’t break the bank or just a casual date night or dinner with the girls. The traditional Thai fare on offer is varied and done well, but the stars of the menu are the more experimental fusion dishes unique to Narai Kitchen that take your standard Thai dinner to the next level. Don’t get me wrong, I love a good green curry or a Pad Thai, but I also really enjoyed some of these more interesting and innovative dishes also. 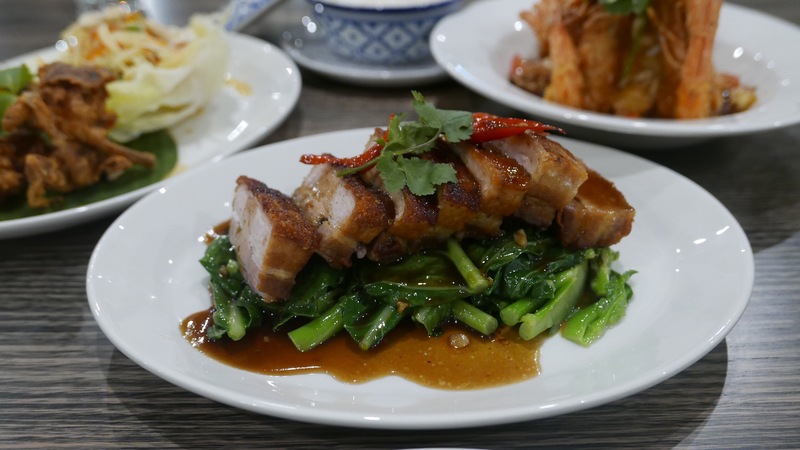 The Kana-Moo-Grob (Crispy Roast Pork Belly with fresh Chinese broccoli stir-fried with garlic, chilli and special sauce) is a delectable, comforting treat, with the greens balancing out the rich and heavy pork. My favourite dish had to be the Goong Makhem (Fried King Prawns in a light batter with tamarind sauce, pineapple pieces, chilli, coriander and crispy lemongrass floss). This was like a sophisticated version of the old Chinese favourite sweet and sour, with the tamarind sauce and pineapple balancing those sweet and sour flavours. I loved the crispiness of the generously sized prawns. The soft shell crab was another crispy and fried treat worth trying if crab is your style. 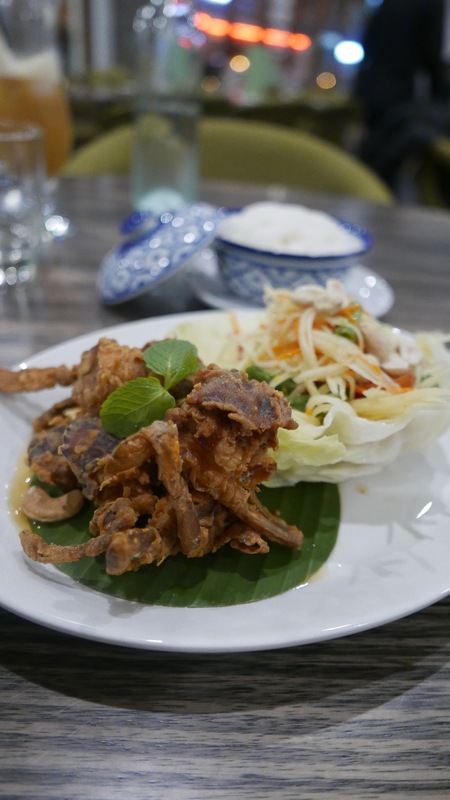 I never really know how I am going to feel about soft shell crab, as sometimes the batter is too much for me, but this one was crispy and not oily at all and served very simply with a spicy Papaya style salad. 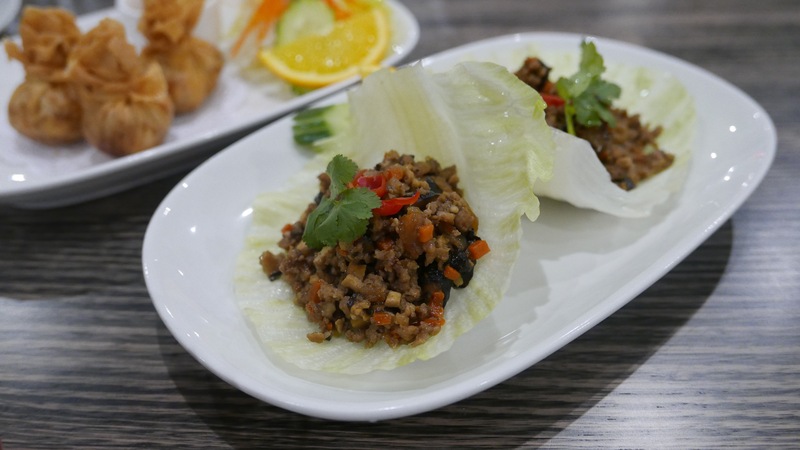 As the Ascot Vale area starts to develop into more and more of a little foodie hub, Narai Kitchen seem to have made the right choice in choosing the large space just as more and more people seem to be making the trip across town to try some of the food on offer in the Western ‘burbs. 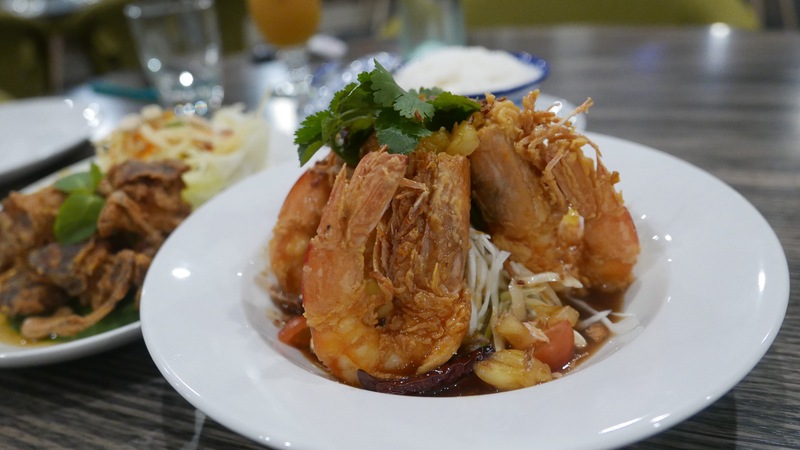 If you are a local or passing through, it is definitely worth hitting up for a Thai food fix. Please note: Foodie Melbourne dined here as a guest but all opinions are authentic.